The theory of comparative advantage is regarded as a fundamental cornerstone of how economies operate. Given the shifts in the global economy, the Caribbean has unwillingly found a new comparative advantage. 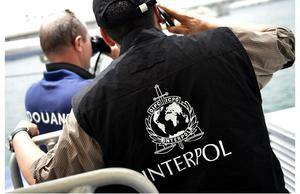 On July 3, it was announced that Interpol seized nearly 30 tons of cocaine, heroin, and marijuana. In economic textbooks the theory of comparative advantage is regarded as a fundamental cornerstone of how economies are organized. Plainly stated, comparative advantage occurs when one country (or in this case a group of countries) specialize in the production of a particular product due to the fact it can produce this product more efficiently than its competitors. Thus, with each country specializing in a particular industry or product it is assumed that all countries will become better off. This was the assumption guiding the decision by the World Trade Organization to put an end to the Caribbean’s protected trade with several European nations because it undermined the fundamental principles of free trade. With the distortions in the market eliminated by the adoption of free trade, it was assumed that the Caribbean would be able to specialize in other industries, particularly tourism and offshore banking. Due to a few fundamental errors in the theory of comparative advantage—such as the assumption that the resources (eg. land, labor, and machinery) used in one industry can be absorbed by another and that there are no negative consequences of the shift (ie. externalities)—the experience of the Caribbean stands as an important case study as to why theory does not always bear out in reality. Firstly, the new shifts in global trade prioritized highly educated workers in the new offshore financial sector—jobs which were out of reach for the newly displaced farmers. Secondly, tourism is highly dependent on imported goods, with an estimated 80% of the food served in Caribbean hotels being imported. Thus, the lack of opportunities for the many farmers throughout the Caribbean resulted in an increase of unemployment, urban migration, and reduced government revenues. To paraphrase what I have been told by several economists on the topic “So what, that is capitalism, economies change and people have to retrain and find new jobs.” This is the so what. On July 3, it was announced that Interpol conducted an operation known as “Operation Lionfish,” which seized nearly 30 tons of cocaine, heroin, and marijuana with an estimated street value of nearly one billion dollars. The operation was conducted across the Caribbean and Central America, spanning 34 countries and territories and involving the World Customs Organization (WCO) and the Caribbean Customs Law Enforcement Council (CCLEC) with assistance from the French Coastguard, the Royal Canadian Mounted Police (RCMP), and Europol. While the seizure is being portrayed as a great success for hemispheric law enforcement cooperation, it also highlights the failure of alternative and realistic sources of employment to emerge in the region since the shift away from protected trade. While blame certainly can be shared among Caribbean leaders, the United States, International Financial Institutions, and multinational corporations—the reality is that the forced reformation of Caribbean economies away from agriculture without adequate resources to prepare for the socio-economic fallout set up the region for a nearly impossible challenge. Now during times of across-the-board austerity and reduced revenues, Caribbean governments are being expected to help the United States win its “War on Drugs” with increased law enforcement spending. At the same time, this funding is shifting away from much needed social programs, education, healthcare, and infrastructure projects. The sad truth is that remittances and the drug trade (the drug trade in Jamaica is estimated at having a value of nearly 80% of the legitimate economy) have played a significant role in preventing many Caribbean economies from imploding—but at the steep cost of a social breakdown. It is this growing violence associated with the drug trade and rising inequality which are the “externalities” which are not calculated into the cost of reorganizing national economies. The tragic story is the same when it comes to Haiti’s experience with rice and Mexico’s experience with corn—it was assumed that sweatshops would absorb those displaced from farming. Contrary to the ideas of the United States, the War on Drugs cannot be won by simply trying to shoot one’s way out of it. There are deep structural causes which provide a steady stream of foot soldiers into the drug trade; many young people are growing up without a source of hope or opportunity. Thus, it is in this situation where Caribbean leaders need to take a look at how their economies are developing and who is being left out—and the subsequent consequences of these changes. Caribbean leaders have implemented the prescriptions of the economic experts, and they have failed to bring about increased prosperity in the region. Regional leaders need to stand united and state that they are seeking to put the priorities of their people first and are not willing to be bullied by capital anymore. Whether it will happen is another matter entirely. It will reveal to the people of the Caribbean whether or not Caribbean leaders and their supposed “partners” such as the United States or the International Financial Institutions want to address the root of the problem or if they are happy with the Caribbean’s current comparative advantage. It is a status quo which has failed the people of the Caribbean both in theory and in practice.